EMMERSON Boyce’s hopes of playing in the 2018 World Cup finals are over after Barbados were booted out of qualification. 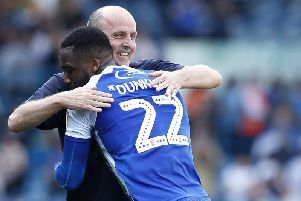 The 35-year-old, who will become a free agent when his Wigan Athletic contract expires on Tuesday, played a key role in the 3-0 aggregate victory over Aruba earlier this month. His two goals in the first leg helped Barbados secure an all-important 2-0 lead. And their passage to the next round of qualifiers was assured when Hadan Holligan scored the only goal of the second leg on home soil. But it transpires that Holligan was ineligible to play, having picked up yellow cards in two previous games which should have led to a one-match ban. With Aruba being awarded the second leg 3-0, they now go through 3-2 on aggregate. “The sanction will have immediate effect and as a consequence Aruba will now qualify for the next round of the 2018 FIFA World Cup Russia qualifiers,” FIFA said. The Barbados FA has also been fined 6,000 Swiss francs.